As a small business owner, are you leveraging Instagram to grow your company? Use the following tips to create compelling Instagram photo and video ads for your business. The internet is swimming in mundane images, so try to share images that capture attention. Feature your products or services in human-scale space to provide context. Spotlight your brand, and seek to tell a unique story with each photo. Use interesting angles in your photos. Not all products should be shown sitting on a shelf or table. How about dangling from a hand or falling through space? How can you capture your services being performed or used from a unique perspective? Pay attention to lighting and shadow in your images. They can provide great emphasis and artistic quality when used correctly. However, everyone knows when too much light creates an unwelcome glare, or too little light hides what you are trying to photograph. For beginners, try to angle the light to be directly overhead, or at least behind you when taking photos. Instagram users can now use augmented reality to overlay effects, costumes, and more over images. These filters can be fun and help create funny images, but don't overdo it. They are currently more for personal sharing than brand representation, although using one in a personal or business photo occasionally can add a whimsy, personal touch to your advertising. Instagram posts with at least one hashtag get 12.6% more engagement than those without any. Use the top Instagram hashtags that are specific to your audience. Look at the Instagram hashtags your industry leaders, competitors, and audience are using that are relevant to your products and/or services. Marketing experts recommend using 3-5 hashtags with each post, although you could use up to thirty. With an Instagram business account, you can create sponsored ads with personalized calls to action for your products and/or services. An Instagram business account is connected to a Facebook profile for your business which you can create for free. 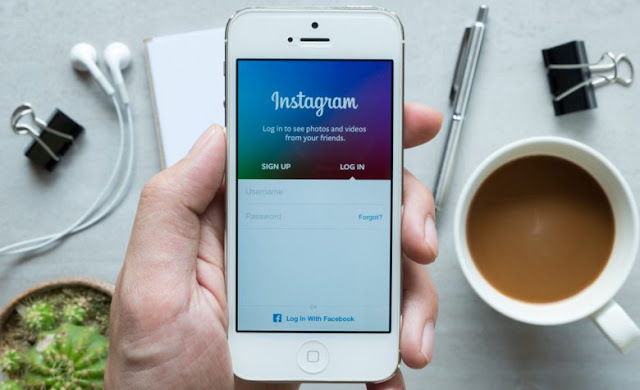 Instagram sponsored ads are paid ads that place your brand before targeted audiences you can create, and now feature specific call-to-action buttons that help stimulate user interactions. Captioning your Instagram posts help tell the story of your image. Considering how quickly users scroll through their Instagram feed, brief captions are best. Include a thought-provoking question or comment about the photo. Include a few relevant hashtags at the bottom. Instagram caps off captions after three lines, so any text longer than this will not be seen unless the viewer pauses to click the 'more' option. Boomerang is a great tool for creating videos that will engage your audience. It's an application that takes a series of photos and strings them together in the form of a short video. Then this video can be imported and displayed on Instagram. The Boomerang video will loop to make it seem your subject or camera are in constant motion. Post a Boomerang with a caption and hashtags just as you would an Instagram image. It's a fun way to catch users' attention and promote your business and brand. How Can I Build My Instagram Audience? Building an audience on Instagram doesn't have to be hard or consume great blocks of time. Follow these simple steps to grow your Instagram audience gradually. Step 1 - Spend 5 minutes a day posting to your Instagram account. Marketing professionals agree the best times to post on Instagram are Monday and Thursday at 2 am, 8-9 am, and 5 pm. Instagram best practices would be no more than 30 hashtags, although 3-5 is best, and 3 emojis. Always remember, every audience is different, so you should test what frequency and time frames bring you the greatest level of engagement. Step 2 – Once or twice a week, find your target market and follow them. Locate a competitor on Instagram, and follow their followers. Seek to add 25 – 100 new accounts during each session. Once your audience begins growing, don’t forget to engage with their posts. This is a good time to note the top hashtags and topics being used by your competitors and their audiences for use in your own posts. Also note the times and days of the week they are posting.